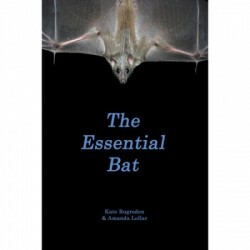 A little book that provides a lot of knowledge about the essential role bats play in our environment. Addresses myths and misconceptions, and includes information on the natural history of bats, the anatomy of the wing, longevity, the bat-plant connection, recipes using products made possible by bats, and much more. Color photos include several of Bat World Sanctuary's rescued bats. Recommended age group: Teen to Adult. Written by Kate Rugroden and Amanda Lollar. Measures 6? x 9?. 85 pages.